So, you want to go to university. You want to meet new people, try new things and study something you have a real passion for. That’s great! But we know as well as you do that trying to find the right uni is no easy task. Before you can start getting excited about your new, wild social life and late night takeaways, you need to think about what it is that you want to study. Most universities offer a lot of similar courses, however, it’s their campus and facilities that may make all the difference. Investigate what kind of equipment is on offer for students, how the study areas can aid your learning and if getting around campus is simple. 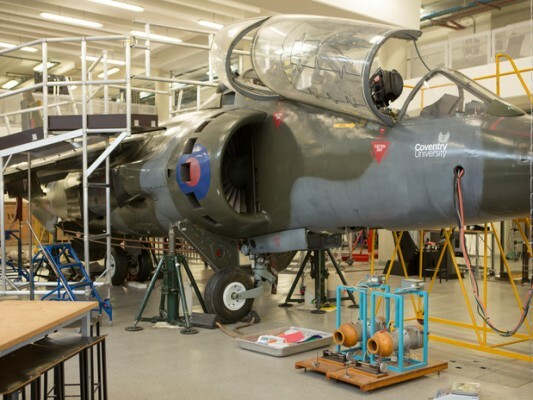 Not many Universities have a real Harrier Jump Jet to play with, but Coventry does! Coventry University offers a host of great courses with efforts constantly being made to ensure teaching is of the highest standard. All teaching takes place at our city centre campus, highlighted by an award-winning Engineering and Computing centre and a newly-refurbished library, not to mention the brand new Health and Life Sciences building planned for 2017! So good they named it thrice, the location of your dream uni is very important. While it may seem like a good idea at first to move to the other side of the country from your family, it may not prove entirely practical. If independence is what you’re after, you’ll find you really don’t have to go far to get it. It’s always good to remain close enough to home in case of a last minute visit or emergency. On the other hand, if you’re planning to remain at home you should think about the ease of access to the university itself. How are you going to travel there and how difficult is it going to be? The nearest campus might not have good public transport routes, and that’s not something you want to find out too late! This is where Coventry really lets itself down. I mean, it’s not like the city lies right in the heart of the country and our campus is easily accessible via rail, bus and road… And who wants to be able to get to Birmingham in just 20 minutes, or London in an hour? You’d be crazy to think that’s appealing. What enticements do they offer? With competition between universities being fiercer than ever before, many are offering extra benefits to entice you to apply. It may be in the form of a laptop, aid with tuition fees, travel opportunities, or a free boat…Ok, maybe not a boat. But this is where you can throw your weight about a little and shop around for a deal that could really suit your needs, especially if you’re a high achieving student. Remember, it never hurts to ask. 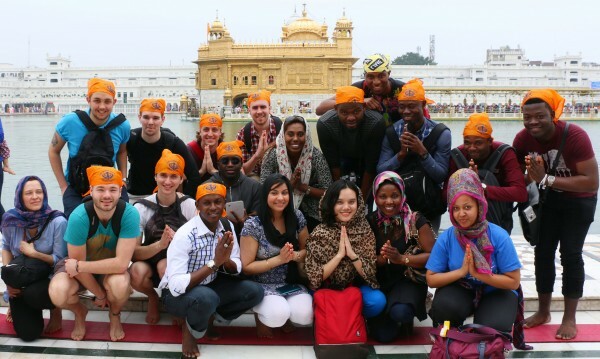 Coventry University’s GLP students visit the Golden Temple at Amritsar, India. What sports teams and societies do they have? No matter what your interests or hobbies are, university should be a place where you can easily explore them further. Sports teams and societies are not only a lot of fun to be a part of, but they can also help you in making new friends, building your confidence, adding to your CV and learning new skills. You should take care to see what’s on offer and how well they are run – check out the uni’s student union’s website. I’ve just so happened to have recently learnt, from a very credible source, that Coventry University’s sports teams and societies are fantastic! Apparently, with 50 sports teams and over 100 societies you’re bound to find something that’s right for you. And if not, the CU Students’ Union will even help you set up your own society. There is now a multitude of awards that universities aim to receive year by year, to show how worthwhile studying with them is. It’s always a good move to have a look at the university rankings, which are released each year, as well as some of the more recent award winners. Plus, you can always investigate more online, at sites like the Student Room, to see how accurate these accolades are. This is probably where I should humble-brag about how Coventry University is the only university to ever receive Modern University of the Year three years running. Or, how we were ranked as the 15th UK University in the Guardian’s 2016 University Guide. But then that would just be tacky… (BTW, we were also named university of the year for student experience by the Times’ Good University Guide). What opportunities do they provide? A common slate on those that go to university is that you ‘only walk out after three years with a piece of paper’. While that really isn’t the case, many universities offer much more opportunity for their students than others. Look into the course you’re thinking of undertaking, what careers can it lead to and are there any chances to network? Is there an option of studying abroad? What have their alumni achieved? If there are a plethora of amazing opportunities on offer, then you can take advantage of the experiences, and that way no one can say it’s just about a piece of paper. At Coventry University – C’mon, are you not seeing a trend by now? – our Global Leaders Programme and travelling options within certain courses can offer unforgettable cultural experiences. 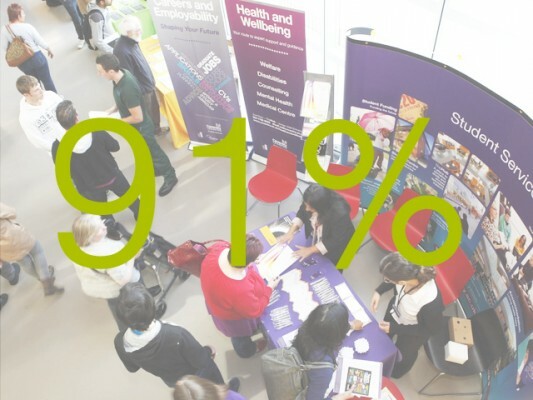 Meanwhile, 95% of Coventry University graduates enter employment or go on to further education. It’s not something you can touch or taste, you just have to go and experience it for yourself. The vibe of a university and the surrounding area can be the biggest factor in deciding where you’re going to go. This is why interviews and open days are such great opportunities for you to see what each university is really like. Ask yourself if you can see yourself there on a daily basis and if the atmosphere feels right. 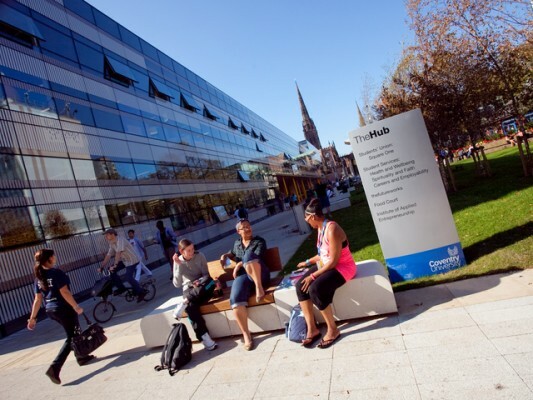 TheHub, Coventry University students’ very own utopia. It’s over isn’t it? I went too far with the bragging and now you don’t even care that Coventry University strives to be an all-inclusive, multicultural home for UK and international students alike. Don’t believe me? You can always come on over and have a look yourself. Ok, ok, enough playing around. Obviously, we at UnCOVered are proud to be a part of Coventry University, but we’re even more proud of our ability to help and support young people. And while choosing a university is a big step in your life, you should enjoy the experience and start getting excited about the next chapter of your life. No matter where you decide to go, we wish you nothing but the best of luck and success. 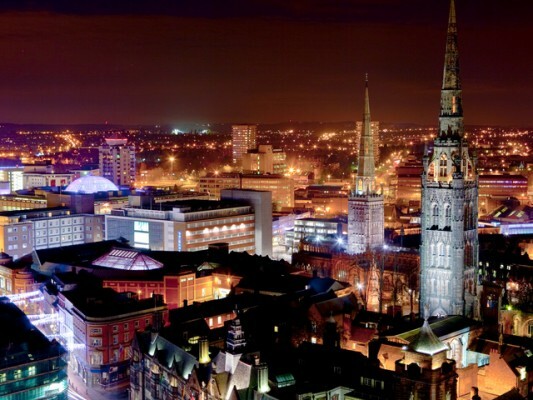 Why I chose Coventry University! ← The smart way to takeaway….